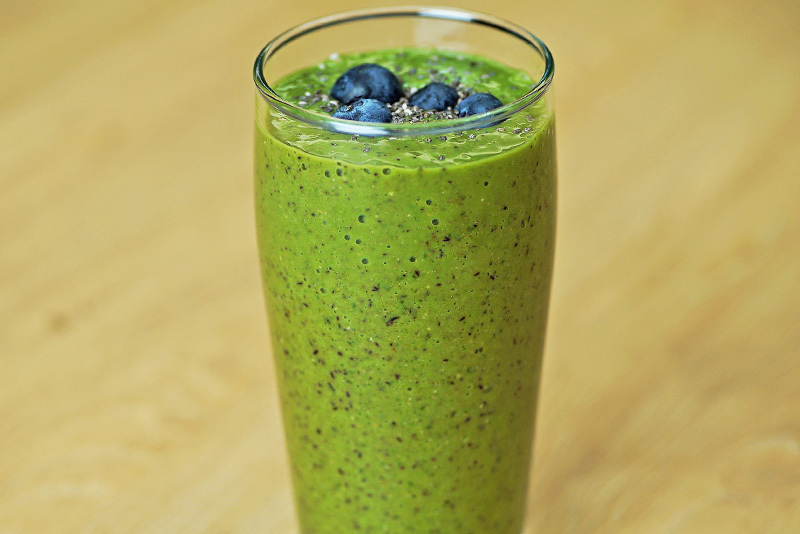 Blueberry & Kale Smoothie Recipe >> Yum Yum! Every smoothie should contain both fruits and vegetables: blueberries and kale are extremely nutritious yet low in calories. Kale is also one of the best winter vegetables. This, among other things, makes this nutrient and fiber-rich smoothie a perfect snack and fruity refreshment. If you can’t get any fresh blueberries, simply use frozen ones. Despite popular belief, they are still packed with vitamins. Blend all the ingredients until creamy. One serving has 320 calories, 41 g of carbohydrates, 10 g of protein and 10 g of fat. Are you looking for more delicious smoothie recipes? Then we have good news for you: you can find lots of great recipe ideas in the free Runtasty app. Download it today and get cooking!